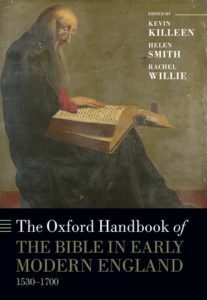 The History Department congratulates faculty member Susan Wabuda, who contributed the opening essay to a volume awarded the Roland H. Bainton Prize (Reference Category) by the Sixteenth Century Society. 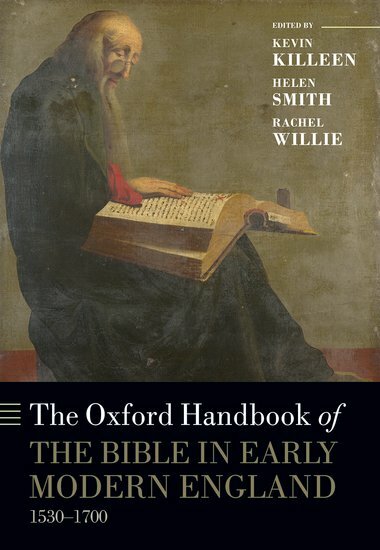 The book, The Oxford Handbook of the Bible in Early Modern England, c. 1530-1700 (Oxford University Press, 2015) was edited by Kevin Killeen, Helen Smith, and Rachel Willie, and resulted from an international conference held at the University of York (UK) in 2011. The Roland H. Bainton prize is given in memory of the great Reformation historian who taught at Yale University. Susan Wabuda laments never having met Bainton, who she identifies as one of the first scholars to seriously explore the role of women in the Reformation. Congratulations once more to Dr. Wabuda and the team behind this great volume!